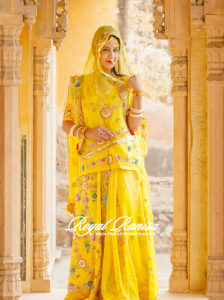 Rajputs defines royalty. Many people judge you with your appearance and clothing sense. Your personality is defined by your clothes. 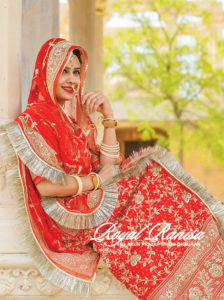 At Royal Ranisa you will find the best royal dress at the prices you can’t even imagine. 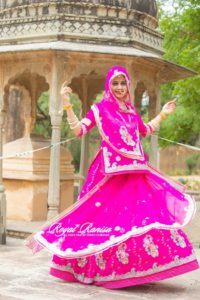 Our Rani color Rajputi Poshak is famous among our customer for its unique color and design. 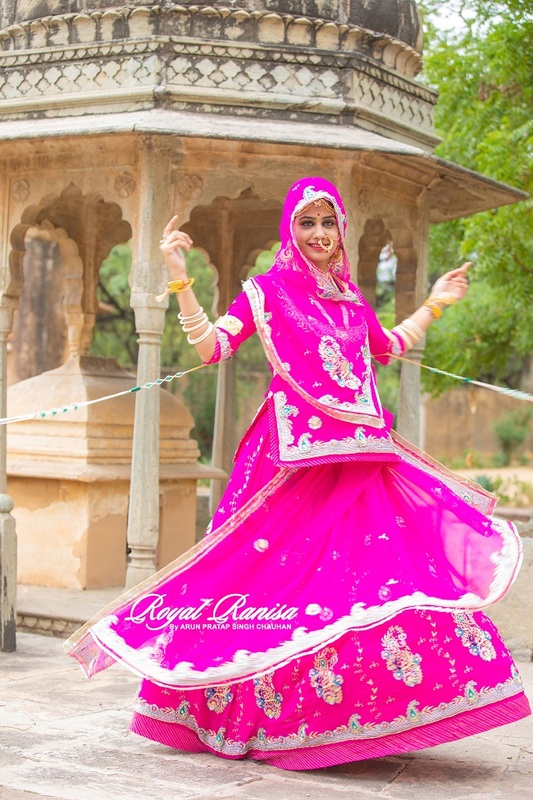 Rani is fuschia, a dark version of pink. It is famous among women. The cost of producing this dye is too high and is rare. Hence it is said that it is mostly used for royalties only due to its rarity. And the name was given Rani to it. But we keep in mind the royalty and beauty of this color. 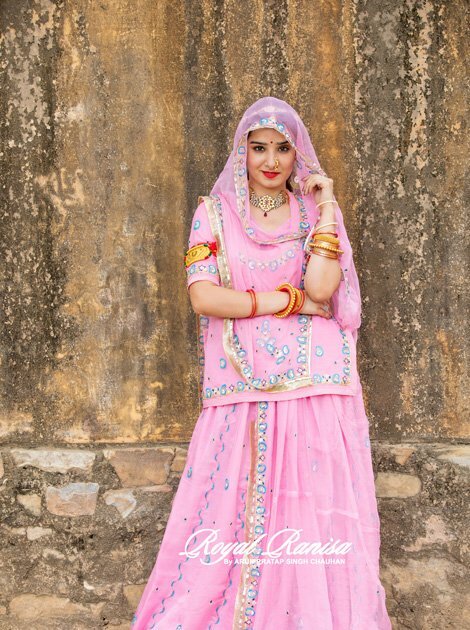 We designed the Rani Rajputi Poshak the way women adorn herself after wearing it. 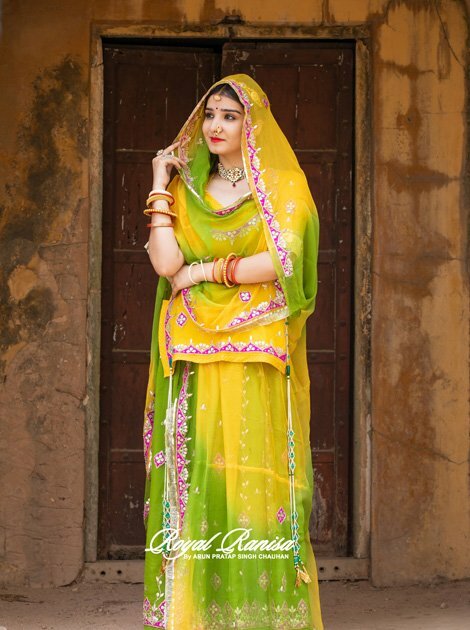 The Poshak has intricate Aari-Tari, Katori and Mix Work. The fabric so chosen is pure satin giving it a Royal Look. It can be worn on special occasions and in evening parties. 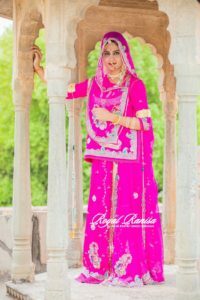 This Rani Rajputi Poshak is best to buy at Royal Ranisa, Jaipur. You can’t keep your eyes off from yourself after you try it. 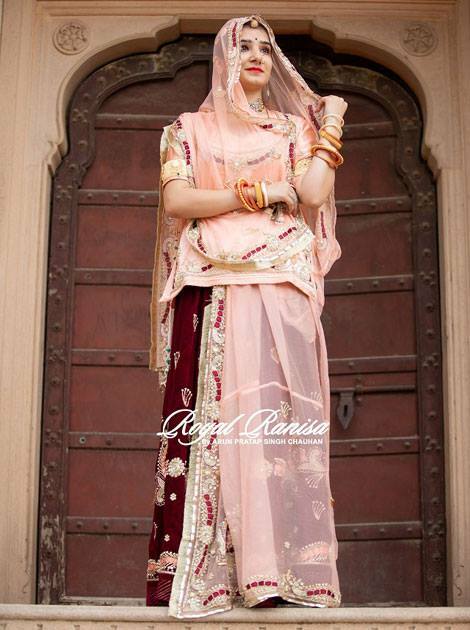 Be it any festival, birthday or marriage rituals, this Rani color Rajputi Poshak is the best buy. TYPE OF WORK-AARI, KATORI & MIX WORK.